Did you know that Dymo D1 Tapes offer over 40 different color / size options? Tip : Did you know that Dymo D1 Tapes offer over 40 different color / size options? 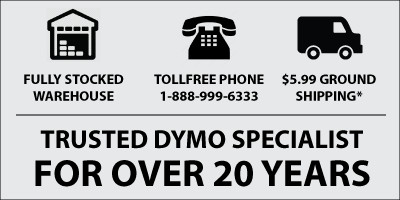 Dymo D1 label tapes are for use in Dymo LabelManager labels makers. Dymo's D1 range of label cartridges are used in a wide variety of handheld, desktop and computer attached label printers. Sizes range from a narrow 3/8" right up to a full 1" wide tape, and some of the color-combinations include: black print on a white label, white print on a black label, white on clear, white on blue, black on clear, black on blue, black on yellow, black on green..... and the list goes on !